Remember playing in the sandbox when we were kids? I learned a myriad of lessons while playing in many a sandbox while growing up. Creativity, patience, responsibility and even good sportsmanship! We were introducing a new app to her students. I don't remember the app, it doesn't matter. I just recall the moment she told her students that they were going to have "sandbox time" once we opened the app for the first time. The teacher proceeded to tell the students very little about the app. As I recall, she told them the name of the app and showed the students the basic tools within the app. She then told the students that they had "sandbox time" for the next ten minutes. Since I didn't know what "sandbox time" was, the teacher had the students teach me the simple rules. 1. You can't raise your hand to ask a question while exploring the app. 2. You have to figure out how the app works. When I first started my current position as a technology coach, I thought that a major part of my job was to teach teachers every single aspect of any new app that I introduced to them. Fast forward five years and I changed that philosophy after watching a very good Kindergarten teacher instruct a room full of five and six-year-olds to figure out how to use an app on their own. She challenged those students. That simple action encouraged exploration, creativity, critical thinking and collaboration in her classroom. I believe as teachers we sometimes try to do too much for our students. We don't challenge them enough in our classrooms. So next time you are introducing a new app to your students our colleagues, teach them about "sandbox time" and turn them loose! 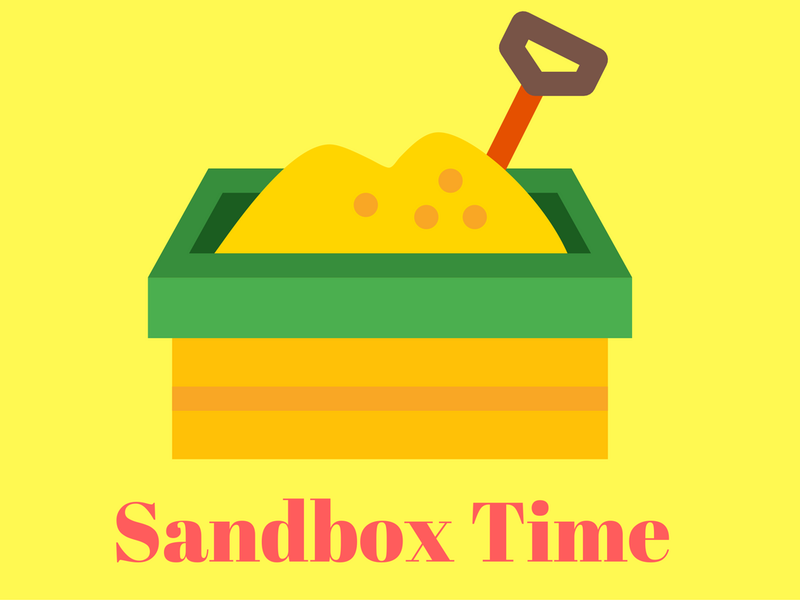 I used Sandbox Time with a group of Freshmen yesterday while learning Book Creator. The thing we have to remember as Instructional Tech Coaches / Directors is they are going to run this app through the wringer, and it sometimes turns into App smashing. Depending on time limitations, and the student's & teacher's knowledge of other apps we need to be prepared to direct them to apps that can help solve the problem. Like editing pictures, which is not part of Book Creator. I let them answer their own question on that one, and we ended up in the camera roll & even SnapChat. Thanks Craig.